Rubbing shoulders with Star Trek: Discovery and Amazon’s oddball superhero comedy The Tick, Marvel’s Inhumans series is undoubtedly one of the most buzzworthy properties among 2017’s freshman class. Having found a home at ABC, where it joins fellow Marvel series Agents of S.H.I.E.L.D. 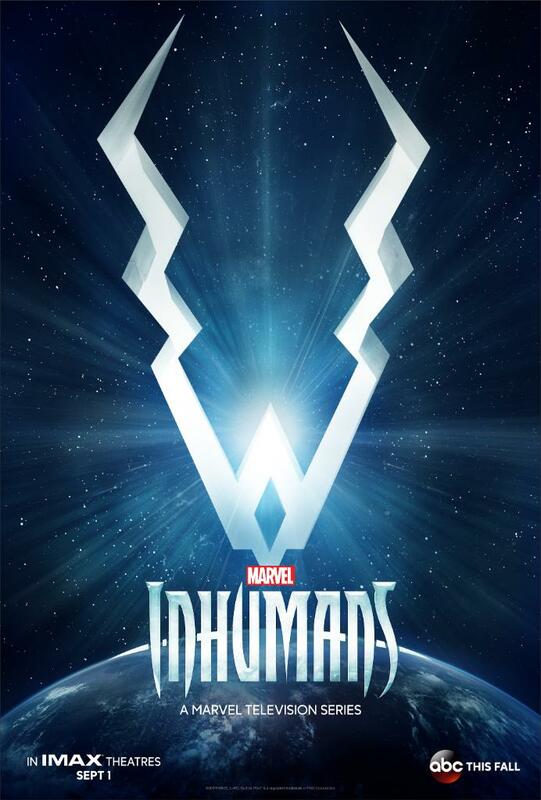 – incidentally, the long-running superhero drama recently got renewed for a fifth season, just don’t expect it to arrive until early next year – Inhumans is expected to conjure up its first full-length trailer sooner rather than later. So far, we’ve clocked eyes on a rather foreboding teaser for ABC’s ensemble drama, while EW recently gathered Marvel’s Royal Family together for a shoot. But ComicBook.com has now gone one step further to post a detailed description of the show’s inaugural trailer. The full, exhaustive breakdown can be found on the site, so if you’re not opposed to being spoiled ahead of time, we’d recommend giving the full report a read. The trailer starts up in the stars as a wide shot of Earth is shown. The planet is seen alongside the moon, and the Inhumans’ home world of Attilan then comes into view as it orbits Earth. The footage then zooms into Attilan as a voiceover of Maximus can be heard saying humans will one day discover their race’’ home. 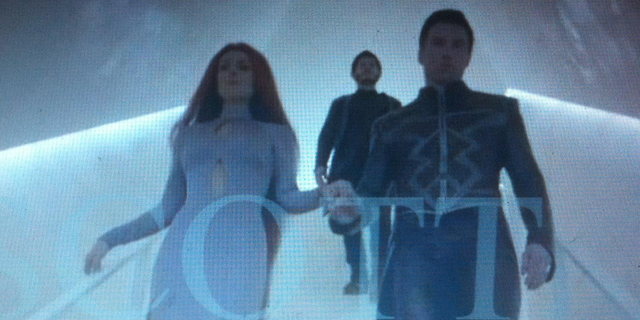 Black Bolt and Medusa can then be seen standing on a balcony in the palace. There’s also a blurry screenshot of that imminent trailer to peruse, which we’ve embedded below. First spotted by CBM, if you peer close enough you’ll see Anson Mount as Black Bolt, escorting Serinda Swan’s Medusa down a flight of sterile, ice-white stairs. And in the backdrop? Iwan Rheon’s Maximus, who is all but set to throw a spanner into the works. Inhumans is yet to lock down an official premiere date; all we know is that ABC has reserved its Friday night slot for Marvel’s ensemble drama. If you’re wanting to catch the show’s opening projected onto the biggest screen possible, you’ll be pleased to note that the first two episodes will be shown globally in IMAX theaters for a two-week period beginning September 1st.